“Leadership from the heart.” It’s not just another empty campaign slogan from a typical candidate. Wally Nishimura means it. Born on Oahu, Wally’s family moved to the East side of Kauai when he was a few months old. Being raised on Kauai, Wally is deeply immersed in the local culture and the local issues. He knows what it means to struggle to support a family in a place that has been ranked “Hardest State to Make a Living.” Supporting his wife and four daughters has meant working multiple jobs at a time. And despite this he somehow managed to find the time to earn a degree in business from an accredited online university. Wally knows about time management! And he’s not complaining. Those that know Wally, know that he carries himself with respect and professionalism and that approach to life has not gone unnoticed by employers. Wally has won awards for his service at luxury hotels and his professionalism has earned him his current position as assistant general manager at a major hotel. While he coaches high school track and works in hospitality management, Wally finds the time to stay current on the issues. Attending County Council meetings, business, and community events, Wally stays in touch with the community he intends to serve. Wally understands that success is a product of time, focus, hard work, and accountability. It’s these traits that are so often missing in government. 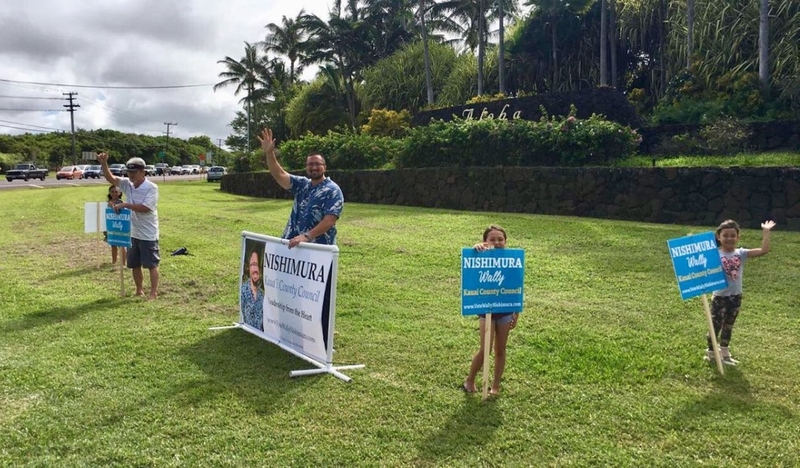 Vote for Wally and see what real kuleana can do for our island. I will be the voice to stand up for our island. The state recently voted to increase our Transient Accommodation Tax (TAT) by 1% to help fund the Honolulu rail. Regardless of how the state wants to twist it the project was over budget and completely mismanaged which turned a city and county of Honolulu problem into a state problem. If that 1% increase stayed on Kauai to fix our roads we would not have needed to raise the GET. I will advocate for Kaua’i to ensure that funds needed to fund our own infrastructure are not allocated elsewhere. I will never support an increase in taxes. Recently the General Excise Tax was raised by .5% for road repair and transportation. Following through on this issue proves to be a vital task as we all experience the trials of traffic and poor road conditions. This issue has been ignored for far too long. We need to find solutions to our traffic problems now. Traffic is horrific and help is not coming soon enough. Whichever direction you may commute, the roads are congested from north to west. I have plans to help alleviate these heavy traffic areas, bringing a solution that will benefit locals and tourists alike. I will make sure we have beach access rights and that the access is accessible for locals. Kaua’i has a homeless population with a desire to work and I want to build public-private partnerships to help people get jobs so they can get back on their feet. The county has several big residential projects being planned and unlike the new development in Hanamaulu we need those to have truly affordable housing for our local people. 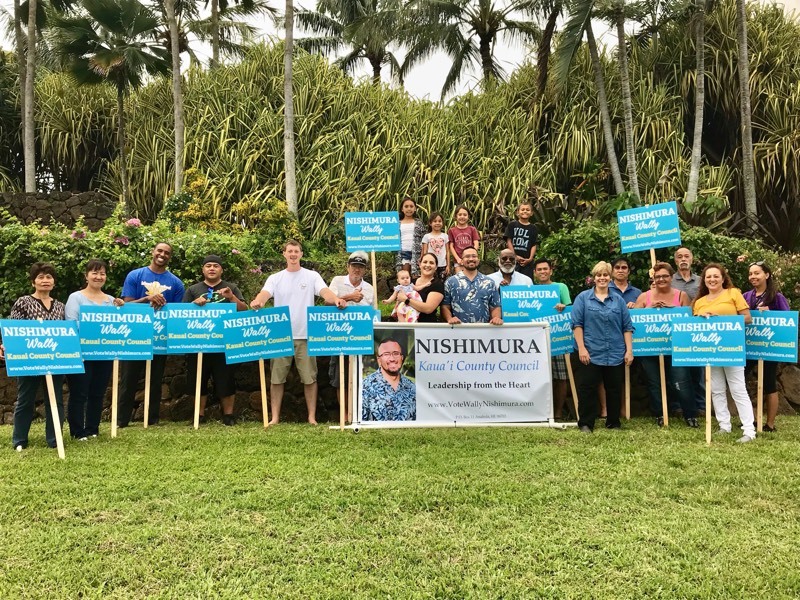 Mahalo to Wally Nishimura for running for County Council. It’s encouraging to see a young (and mature) person making a commitment to improve the condition of the island and its people. It’s heartening to be able to help vote someone into office with awareness and insight to make changes to the status quo government performance that has either left too many things unchanged for too long or allowed conditions to get worse. With priorities of accountability and participation (with attention to listening to and understanding the needs of the people AND business) this is a significant opportunity to make a forward move for the quality of life for people, a move forward for an active and reasonable performance of government officials and a move forward to make tangible positive changes for the conditions on this island. Wally Nishimura and I have known each other for almost 10 years. While we agree on almost nothing when it comes to national politics, he has my vote for the Kaua‘i County Council. The first word that comes to mind when I think of Wally is character. Wally has a tremendous fire to live guided by the things he believes. He does not take the easy way out, he refuses shortcuts and he stands by people who make unpopular decisions when he believes they are right. He takes tremendous pride in his heritage. 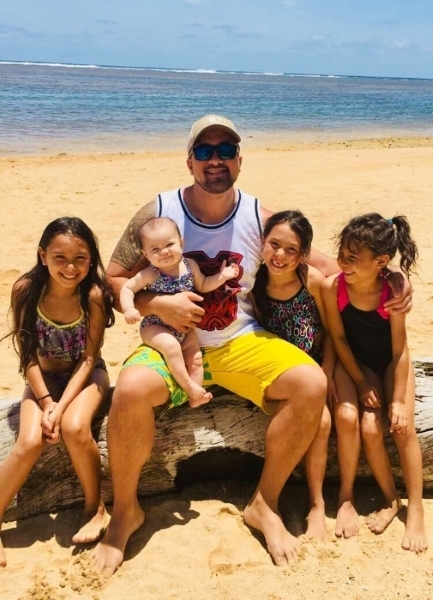 I believe that his desire to keep the Hawaiian culture thriving is why he is so passionate about politics and why it’s so important for him to be elected to the Kaua‘i County Council. He is also empathetic to the needs of those around him. He wants to help people, to pick them up when they are down. That’s why I’m supporting Wally in his bid for Council. We have a unique opportunity this year to get new and diverse voices into the Council Chamber, and Wally should be one of those voices. He has a unique blend of conviction and compassion, and he is willing to make the hard choices. When he says he will never vote for a tax increase, believe it. Whatever Wally decides to do in the future, I truly think he will succeed. He has tremendous drive and passion as well as the compassion needed to help others on the way up the ladder. Add that to his passion to serve this island and its people, and it’s hard not to root for Wally in all that he does.